(VEN) - Being recognized as the “Oldest foreign airline in Vietnam” during the 17th Golden Dragon Awards organized by the Department of Foreign Investment in Hanoi on April 14th, 2018, Air France always keeps on improving to strengthen its position in Vietnam and remain the first choice of carrier for flights to Paris and Europe. 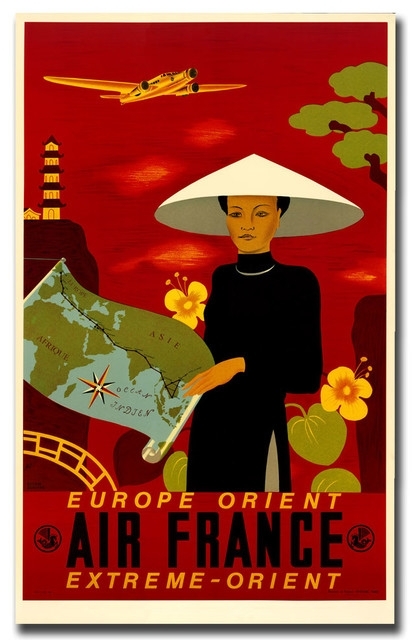 Air France began flying to Vietnam 88 years ago with Air Orient, one of the three airlines that later merged to found Air France. The first flight, which took off from Marseille on March 9, 1930 reached Saigon after 18 stops. Then, from the 9th of March of the year 1950 and without any interruption until today, Air France has connected France with Vietnam. Mrs. Delphine Buglio, Country Manager of Air France in Vietnam, said: “We are always proud to celebrate the anniversary of the Saigon route, and this year again we organized a number of events for our customers in celebration of the 88th anniversary. Passengers traveling on the 9th of March of 2018 were welcomed to a festively decorated flight operated by a dedicated crew”. Today, Air France is the only European airline operating direct flights between Ho Chi Minh City/Hanoi and its hub Paris-Charles de Gaulle. Flying non-stop to Paris, the 3rd most visited city worldwide, is certainly major advantage for the French airline. But nowadays, this is not sufficient. 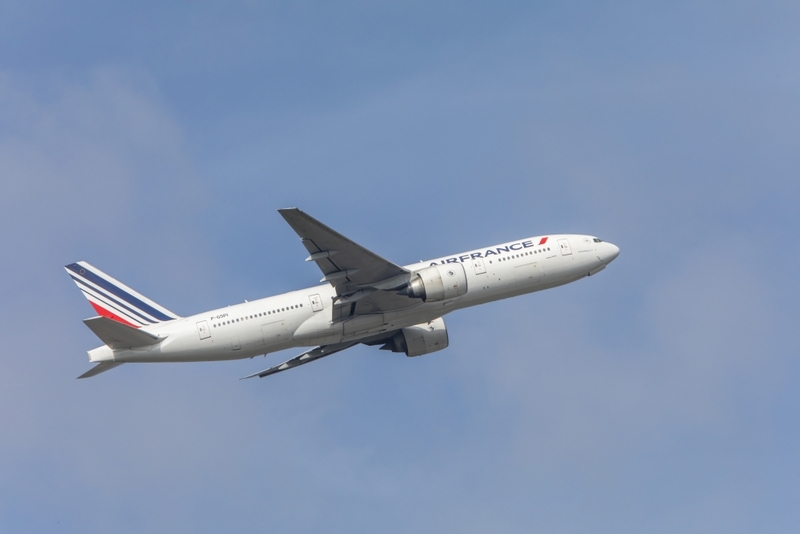 Globally, Air France has embarked on an upmarket strategy with the ongoing upgrade of its products and services on long haul and medium haul routes. These efforts were recognized in 2015 by Skytrax who awarded Air France with the“Most Improved Airline” award. The upmarket strategy is being pursued with the renewal of its fleet with the introduction of the Boeing 787, the extension of the table service created in cooperation with the Paul Bocuse institute on selected flights in Business class, and the further deployment of the new cabins on its long haul network, including the Ho Chi Minh City and Paris route in summer 2017 and 2018. In Vietnam, Air France has followed the same path by making sure to offer the highest level of service to customers at every step of their journey. The experienced and professional personnel always provide friendly and dedicated support for customers at ticket offices in Ho Chi Minh City and Hanoi. 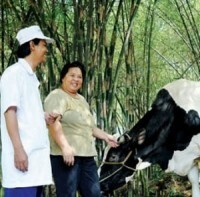 Besides, the knowledge of the local culture through celebration of some local Vietnamese customs or special attention to simple details onboard such as Vietnamese meal or Vietnamese announcement in local language make passengers comfortable in using Air France services, helping the airline continue to be perceived as the “most Vietnamese of all foreign airlines in Vietnam”. Beside passenger transportation, Air France also pays great attention to corporate social responsibility projects focusing on future generations. The Air France Foundation, established in 1992 by Air France, has financed 1,237 long-term associative projects that correspond to its field of intervention: education and training for children and young people who are sick, disabled or in great difficulty. In November 2017, the Air France Foundation went on a mission in Vietnam together with the association ‘Audition Solidarité - a French NGO - to provide hearing aids to deaf children or children with hearing disabilities in Bien Hoa. “Being able to participate and to witness, together with our Vietnam team, the smiles on the faces of those children who were able to hear their first sounds made us feel extremely happy, but also really proud of working for a responsible company like Air France, which is committed to making the world a better place.” - Mrs. Delphine Buglio – Country Manager of Air France said. In a move that benefit more the passengers, Air France signed a comprehensive strategic partnership in the form of a joint venture agreement with Vietnam Airlines in October 2017. This major and natural step marks a new milestone after two decades of cooperation between two airlines. Starting from November 1st, 2017, the two airlines have been working hard to deliver additional benefits for both their customers, whether they are travelling on Air France or Vietnam Airlines and provide them with a seamless travel experience. By doing this, both Air France and Vietnam Airlines aim to optimize their services between France, Europe and Vietnam and strengthen their market positions in a sustainable way. Besides the long-term commitment of Air France to Vietnam, this commitment is once again reaffirmed through a support contract covering the GEnx engines of Vietnam Airlines’ Boeing 787 fleet signed between Air France Industries KLM Engineering and Maintenance (AFI KLM E&M) and the Vietnamese national flag carrier during the official visit of General Secretary of the Communist Party of Vietnam - Mr Nguyen Phu Trong to France in March 2018.
between Paris-Charles de Gaulle and Hanoi which is operated by our code-share partner Vietnam Airlines.